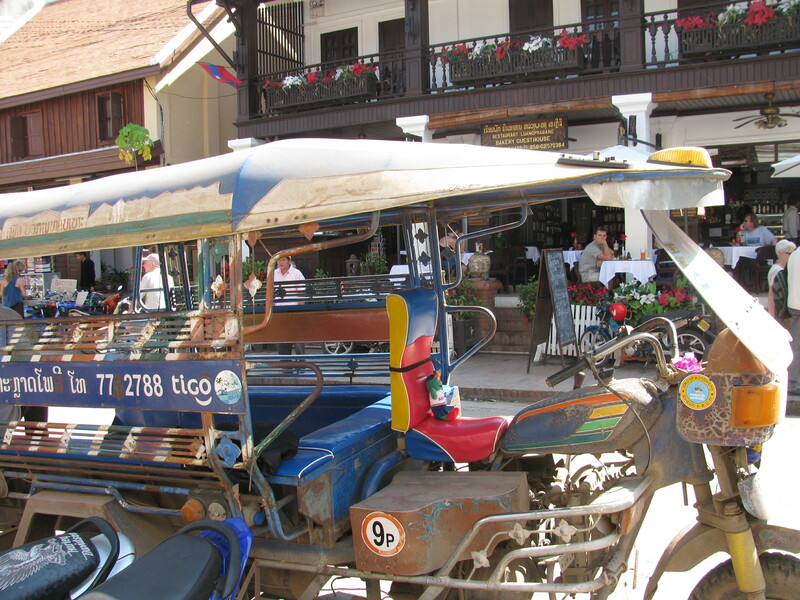 Wally is driving a tuk tuk in Luang Prubang. Most of the regular tuk tuk drivers are too busy sleeping in the back of their cab, or gambling in the street. So Wally thought he would take over for a bit. See if you can spot Tim too, hanging out at one of the beautiful cafes in the heritage section of the town. That’s a nicely tricked out tuk tuk! The ones we saw (and rode in) in Mombasa… pale in comparison. Continue the good work (and I’m greatly enjoying these posts). And the best part is if they swindle you it’s only for 50 cents. As opposed to Kenya where they have no problem pretending the ride is worth about $100 US.